There are so many emotions and feelings involved in parenting. Most of them are beautiful, wonderful emotions and feelings, but there are a few that are technnically quite negative. 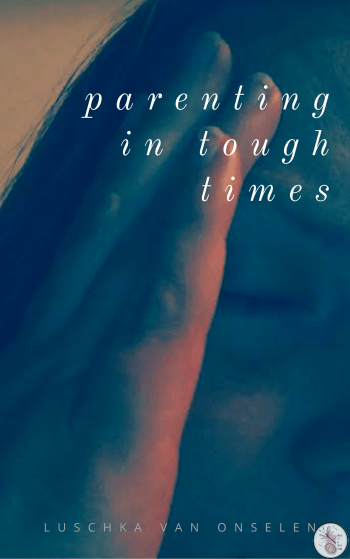 There have been a few posts floating around the blogosphere recently about the fear that comes with being a parent.Â Liz from Living with Kids and Heather from Notes from Lapland have both written posts on the subject. I myself have written about the guilt I feel about almost everything, but more recently I have become aware of another, new feeling: protectiveness. And I don’t mean an “oh would you mind not doing that” kind of protectiveness. I mean a fierce, all-consuming, throw-myself-between-a-car-and-my-baby kind of protectiveness; a ferocious fire that burns in my chest and raises its head like a snake, ready to strike; a lioness ready to pounce on anyone that dare threaten my child. The guy that drives too fast through the parking lot, the motorist honking his horn outside my house, the smoker walking in front of us, the chump that knocks into us in a crowded shop. One and all, they stand the risk of my wrath. And I’m generally an even tempered person. It’s in our children’s vulnerability that we as parents find our usefulness and our purpose. It’s in their need for protection that we find our strength. I wonder if this feeling will fade as the years pass and she grows and becomes more independent? Or does it grow as they grow, causing dads to wait up in a darkened lounge for when their not-so-little girls come in at night? I guess that’s the balance I need to find. Holding on without clutching, hugging without suffocating, loving wholly and completely knowing full well that some day, probably sooner than I’d like, I’ll have to let go. And then trusting in God and in our parenting decisions to keep her safe, protected, without instilling too much fear in her. How do you or did you deal with those breathless moments as a protective parent? I recently wrote a post on being a paranoid mummy. I wondered if the sense of protection I felt was because of all the bad things we know happen in the world, but it’s much more than that I think, it’s nature and something that comes with being a mum, whether human, lion or duck! Can you imagine what would happen if we didn’t feel it? .-= 21st Century MummyÂ´s last blog ..Listen to a Londoner Interview =-. Some of it fades but other things are still rough on me. I won’t let anyone who’s smoking stop and talk to my daughter. I really want to stick the cigarette up their nose too but I’m able to control that impulse! I’ve been mulling over a post about under-protective parents. I think people should judge that more harshly that the “over protective” ones among us. .-= JoeyÂ´s last blog ..Reflecting on the months before magic ears =-. I’ve gone in my house robe to yell at the neighbors three times now (it feels like yelling, really i’m just asking them to quiet down, stop playing with fire in their backyard, etc). I seem to be a bear about protecting sleep! I also yelled at a car to slow down in our neighborhood yesterday and asked someone to ask the police chief to send patrols through more often for speeders on our cut-through street that every runs through on. All of a sudden I’m THAT lady. The boring kill joy safety first lady. Oh well! Right? .-= AliÂ´s last blog ..Simple Roast Chicken =-. @Ali, Eh, I don’t mind being the killjoy. I think my baby is totally worth it! It’s hard, but your kids force you to lighten up. I’ve found it’s better to give them some freedom in high school when you’re there to overssee than try to control them, and then have them go crazy when they’re in college. As, Jan, above me said “It’s all a growing experience.” Enjoy the journey. .-= VickieÂ´s last blog ..The Blue Banana Coffee Shop =-. @Vickie, Thank you Vickie. I’m trying to! I completely understand what you are going through … and I don’t think it ever goes away … just takes a different form when they’re older (I have two … 13 & 11). Enjoy your beautiful gift … protect / hold / cherish each moment. Its all a growing experience ~j. I can relate, we call it MamaBear syndrome and it can be ugly. A knee jerk reaction to protect at all costs. It isn’t always easy finding the balance is it? It is even harder as they get older. Mine are 9 and almost 14 and other kids can be so mean you just want to step in and make it better. And you can’t. sigh. Thanks for putting it so beautifully. .-= LizzieÂ´s last blog ..Now, Where Did I Leave That? =-. @Lizzie, Thanks for stopping by Lizzie. I am so afraid of that first time something like that happens. I have no idea how I’ll handle it. Which is unusal for me – I normally think about these things well in advance, lol. I’m still learning not to panick and be over protective, but it’s not that easy. .-= Rachel CotterillÂ´s last blog ..The Tallest Building In TÃ³rshavn =-. @Rachel Cotterill, Thanks Rachel! I think she might be right! @Wendy @ FrugalFabulousFinds.com, Oh dear – so it never really goes completely? I guess thats a good thing, somehow. Thanks for stopping by! I was exactly the same when my daughter was a baby, i felt like i would have be capable of hunting down and killing anyone that even looked at her wrong. It does lessen as they grown, or at least it did for me. As she becomes more independent, learns how to move through life, it gets easier. She’s 3.5 now and it’s still there, always there, but not as strong, tempered by the knowledge that she has to learn to take a slight by a play mate or a bit of jostling in a crowd because as you say, if they don’t learn it they’ll never how to deal with it. @Heather @notesfromlapland, Thanks for that info! It’s good to know the extremity of that emotion subsides. It’s quite tiring! Thanks for commenting, by the way!